A few months ago, during CES 2018, In Win has shown an early prototype of their 915 case. Meanwhile the case has been spotted on the official site and we believe that it will be available quite soon. According to the first images, the new In Win 915 looks a bit different than the prototype unveiled during last CES. Design wise, the case comes with a simple and sleek design and there are no special air-vents on this model. Everything is kept in a classic and clean. 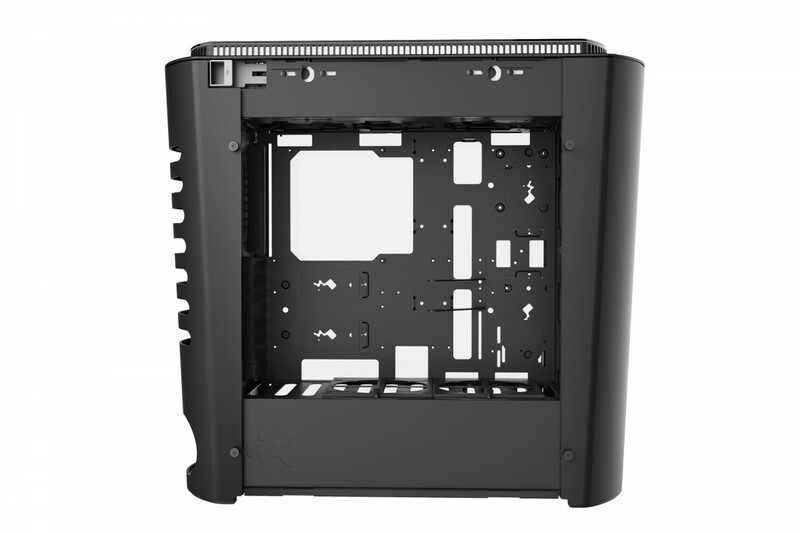 One of the two panels of the In Win 915 is made entirely from solid tempered glass and allows a quick look inside the case providing a rather unique design. The top includes the I/O panel, which features two USB 3.1 Type-A ports, one USB 3.1 Type-C port, headphone and microphone jacks as well as the standard power and reset buttons. 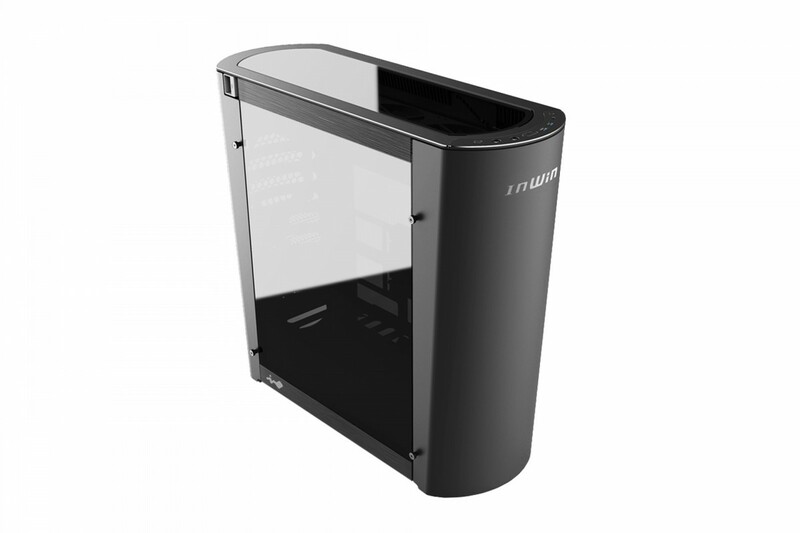 The In Win 915 is a full tower case, which is compatible with E-ATX and ATX form factor motherboards. The internal layout is pretty simple. According to the pictures, the PSU goes in the bottom and sits below the motherboard tray unlike what we have seen with latest In Win cases. Furthermore around the motherboard tray there is enough space for four HDDs and four SSDs. Inside the In Win 915 you can install up to three 120mm or two 140mm fans on top, two 140mm fans on bottom and one 120mm fan on the rear. 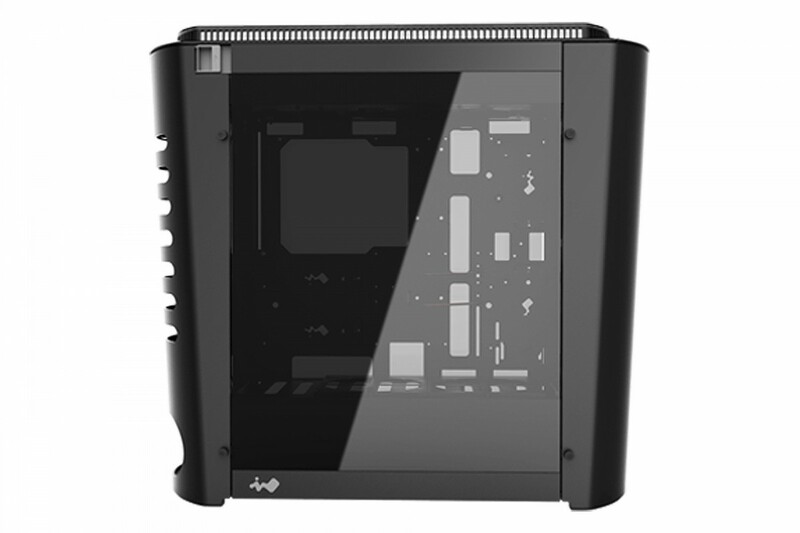 Since this case is made out aluminum and tempered glass we don't expect a low price. 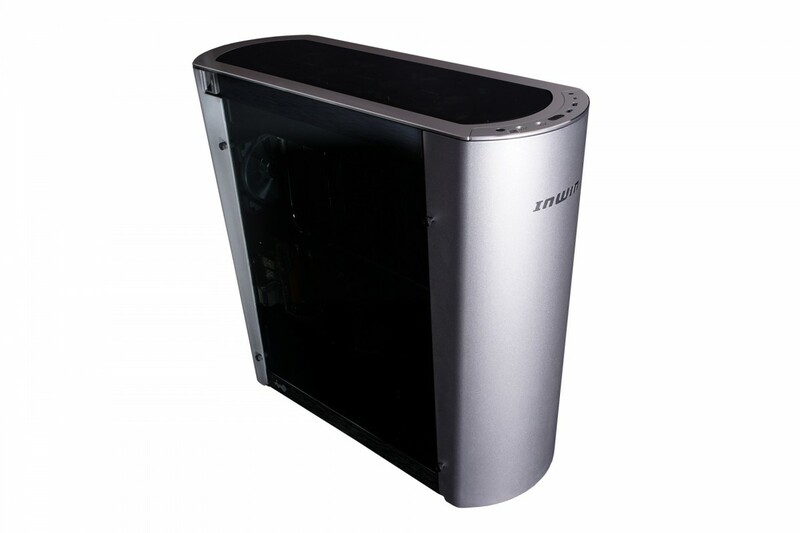 In addition, on top of the case, there are mechanized air vents that will help to improve your airflow.